This event celebrates diversity and inclusion. 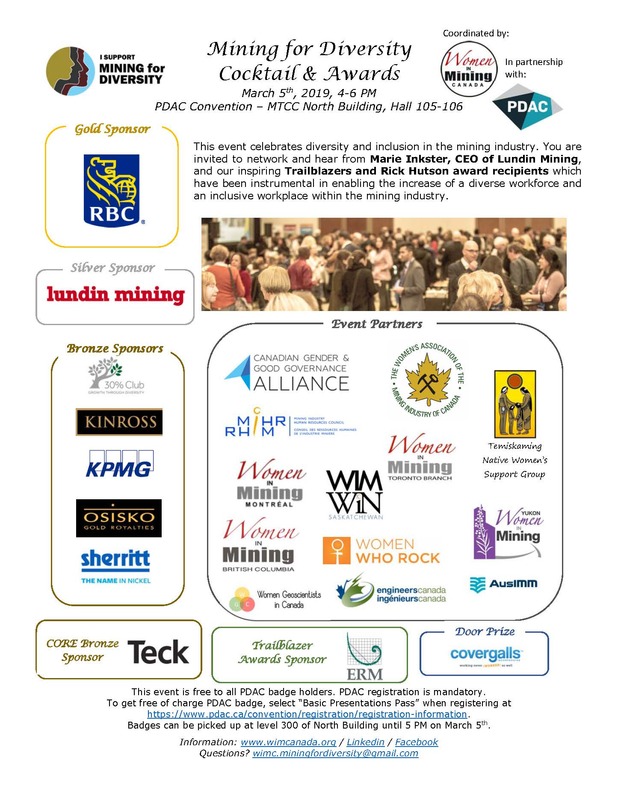 Join women and men from the mining industry for the opportunity to network and to hear from the inspiring awards recipients. Awards will be presented to individuals who have been instrumental in enabling the increase of a diverse workforce and an inclusive workplace within the mining industry. These include the Trailblazer awards and Rick Hutson Memorial Award for mentoring. Admission ONLY with a PDAC convention pass. Open to all pass types. Access is free if you register for the “Basic Presentations” Pass. Click here for more PDAC's registration information.